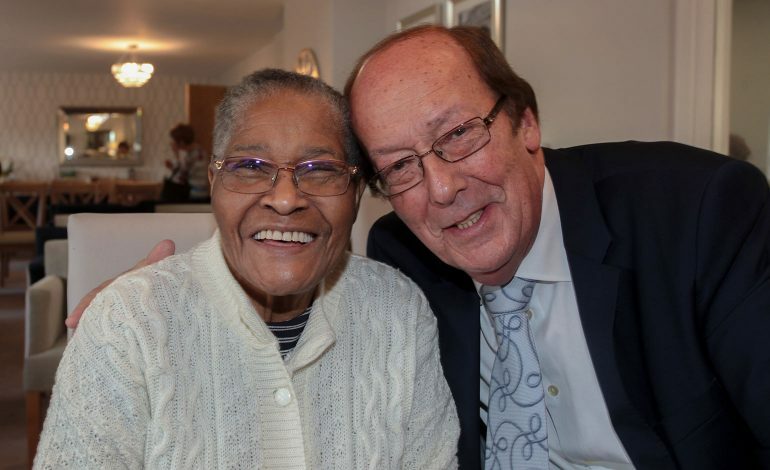 Television and news presenter Fred Dinenage MBE was recently joined by a number of local retirees for the grand opening of McCarthy and Stone’s latest Bath development, Lambrook Court. Fred, who has enjoyed a successful TV career spanning more than 50 years, visited the Retirement Living Plus development on Gloucester Road to share his experiences as a presenter, and to provide an insight into some of the many breaking news stories he has reported on over the years. Guests also heard first-hand about Fred’s experience of hosting much-loved quiz shows such as ‘Pass The Buck’ and ‘Gambit’; and he talked about the many factual books he has written, and ghost written, including an autobiography on the infamous Kray Brothers. Fred said: “It was a pleasure to visit Lambrook Court and give a talk on my colourful television career. The development provides an excellent solution for all those looking to enjoy an independent and active lifestyle in retirement, and I enjoyed meeting and chatting to homeowners. 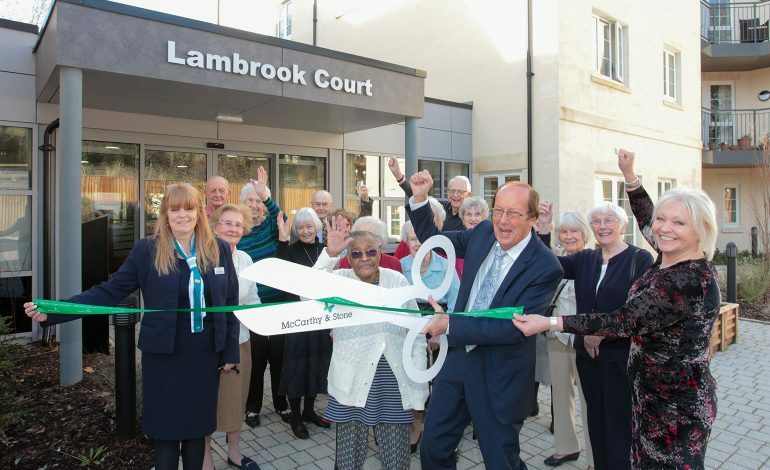 Nicki Beswarick, Marketing Manager for McCarthy and Stone Southern, added: “We are delighted so many of Bath retirees and their families joined us for the grand opening of Lambrook Court and we are very grateful to Fred Dinenage for making it a day to remember! Lambrook Court offers retirees the opportunity to maintain an independent lifestyle, while also having access to tailored domestic and personal assistance packages to help them manage their day-to-day lives.